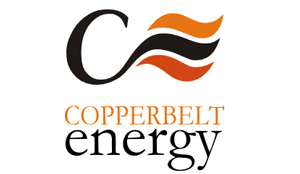 THE Copperbelt Energy Corporation (CEC) has assured Government of its commitment to be part of the lasting solution to the country’s power deficit challenges by mobilising resources to invest in new generation capacity. 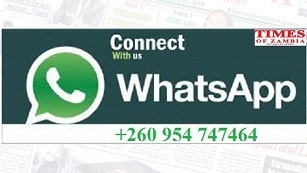 CEC managing director Owen Silavwe said Government alone cannot and should not be expected to provide all the answers to the country’s power deficit problem being faced in the country. Mr Silavwe said this on Monday when Mines, Energy and Water Development Deputy Minister Charles Zulu visited the CEC US$220 million Kabompo Gorge Hydroelectric project in Mwinilunga. The CEC managing director stressed the need for public and private sector players to partner and be part of the solution to the country’s power deficit problem. “Having been in the energy sector since the 1950’s, our market knowledge is deep and we are well positioned to contribute to helping the Government foster innovative solutions to address the energy challenge,” he said. Mr Silavwe said CEC was continuing with its quest to expand its contribution to the country’s electricity supply industry with its flagship Kabompo project that was awarded to the company through a competitive tender in 2007. He said the 40 megawatts Kabompo hydro power project represented further efforts from CEC in the generation sector. Mr Silavwe was, however, quick to remind the Energy deputy minister of the challenges among them the long period of time it had taken to conclude the Implementation Agreement with Government and resolution of land title issues that surrounded the project. At the moment, it was difficult for CEC to secure financing of full implementation of the project because possible financers could only do that once land title was secured. “Once these challenges are addressed, there is room for speeding up the project to achieve the planned 2018/19 completion date,” Mr Silavwe said. Mr Nyirenda said so far, CEC had spent $32 million on preliminary works for the development of the Kabompo Hydroelectric station with a further $6 million on the exercise for resettlement of affected residents. Mr Zulu pledged enhanced support by his ministry towards ensuring that the Kabompo Hydro power project came to fruition. He said one way of improving the country’s energy sector was to bring on board private players such CEC. “We have potential to generate 6,800 megawatts but we are generating 2,317 megawatts which we need to increase to at least 6,000 megawatts,” he said.